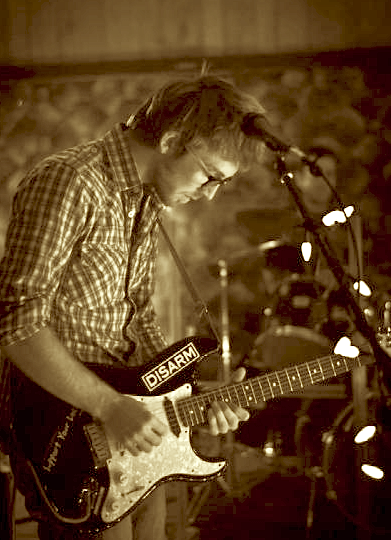 Kevin has known since he first picked up a guitar in 2005 that music would always be a part of his life. He has been giving guitar lessons for four years to students of any age range and ability; the only pre-requisites are a love of music and the desire to learn. He is confident in teaching anything from the basic skills and fundamentals to blues soloing, music composition, playing in exotic scales, open guitar tunings, and advanced jazz theory. While the emphasis of lessons is always on direct application and having fun making music together. After attending Selkirk College of music Kevin has been exploring a wide range of music from experimental rock and psychedelic folk to Celtic Traditional. 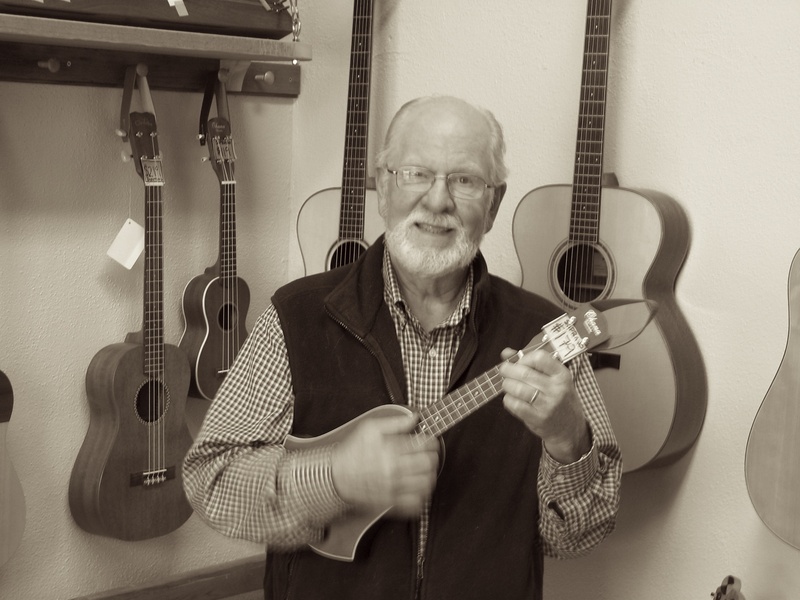 He is currently working at Mountain Fruit Folklore Centre and studying instrument repair and building under luthier Jeremy Behn. 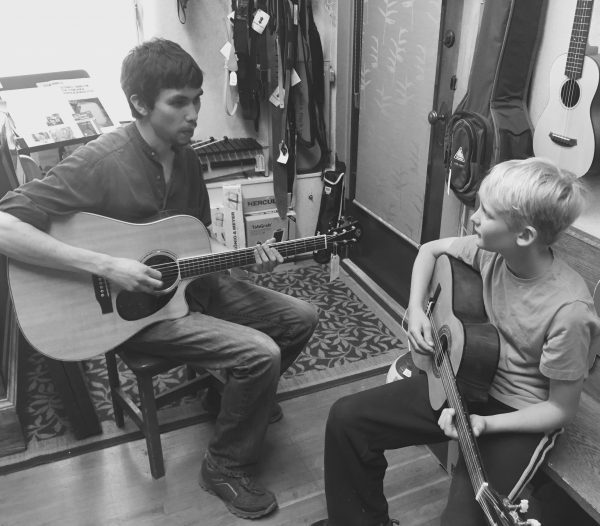 Lessons also available on mandolin, Irish bouzouki, tenor banjo and Appalachian dulcimer at a beginner level only. I played the bagpipes for many years and realized at thirty I wanted to extend my enjoyment for Celtic music by learning to play a flute. I took flute lessons and music studies for six years, which included taking four years off from work, on a regular open-hole Boehm flute at various locations from 1978 to 1984 at: Calgary Music Conservatory, Lethbridge University, Victoria University and Victoria Music Conservatory. I now play Scottish Small Pipes, and recently, since retirement, moved over to a Celtic D wooden flute, having only a single G# key. This type of flute allows freedom of placing the cuts, strikes, rolls etc. more precisely than a regular keyed flute. Irish music, unlike the strict ornamentation requirements of pipe music is more forgiving to your own interpretation of playing Celtic music. 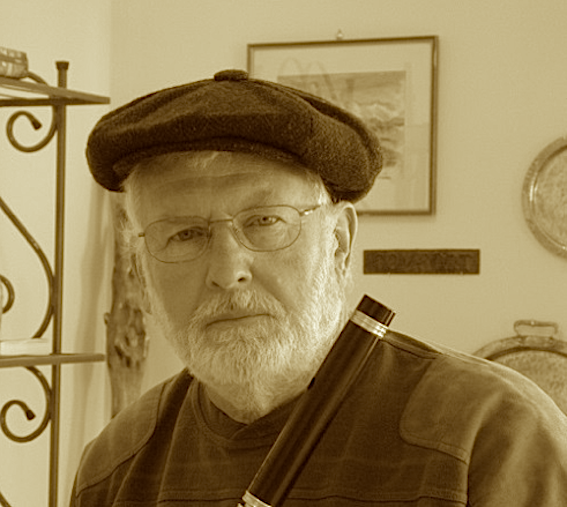 The Celtic flute is designed using “true notes” or “pure notes” and mode scales that predate the ‘equal tempered’ note system which became popular in J. S. Bachs’ time and still today. This true note centre of tonality is why many people enjoy Celtic music. For basic flute lessons, for those who are committed, please contact Jeremy Behn. Lessons can be arranged at Jeremy’s studio or at my home. P.S. And yes, it does require learning scales and arpeggios – no short cuts and no musical experience required just a willingness to learn. The passion Jerry has for drumming expresses itself in all aspects; from playing and performing to teaching and drum repair. Jerryʼs experience includes formal education at Grant McEwan College which gave him a solid foundation in understanding musical theory and technique. He was a founding member of Flash Landing – a 1980ʼs Top 40 touring band – and has performed with Charlie Wells, Sunny Rhodes, and Sue Foley (The Dots). While in Vancouver, Jerry was employed by Ayotte Drums where he held a senior position in their drum manufacturing and repair department. He worked in all phases of drum shell construction – milling, shaping, and finish prep. 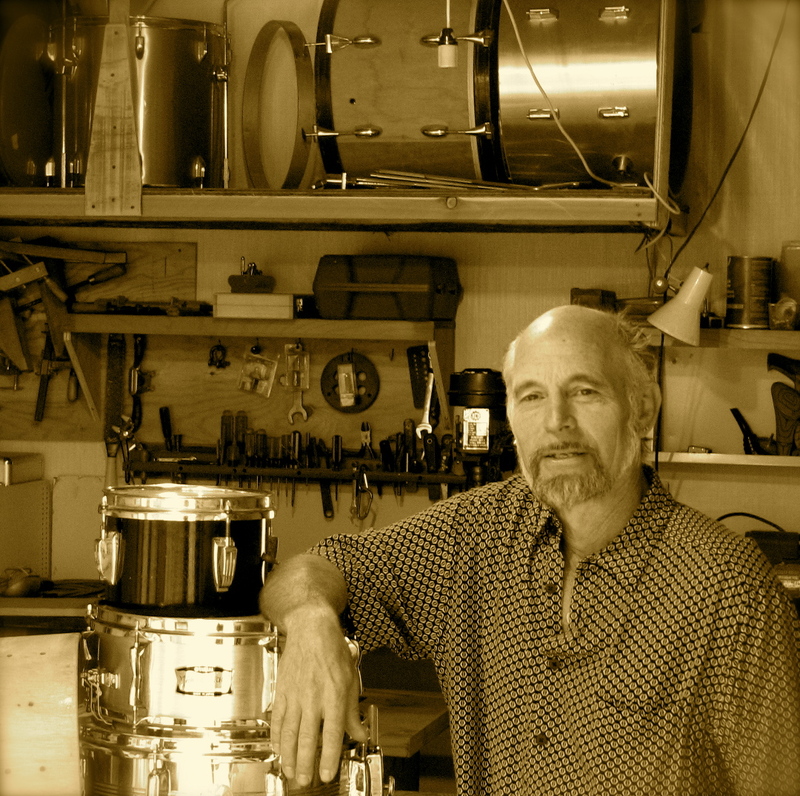 Jerryʼs keen interest in design allowed him to contribute in a number of ways to streamline and improve drum production. Jerry very much believes that drums are a musical instrument and uses this as a basis for teaching students. He is especially gifted when instructing youth in the 5-20 age group who respond readily to his sense of fun and energetic approach. Wether he is teaching or playing, Jerry embraces a full spectrum of musical styles; he is equally at home with blues, funk, rock, reggae, or jazz. His many years of live performing have also given him the ability to play with musicians from a wide variety of backgrounds. Collaborating with other musicians and passing on his accumulated skills are for him the most enjoyable and rewarding part of his life. Phone 250-353-7191 to book a lesson (or repair work) with Jerry in his private studio. program and has been teaching and performing since. Sean is open to exploring most types of music with students. He has experience in many styles, such as blues, folk, jazz, rock, finger picking styles, flamenco, etc. He is open and flexible with his teaching methods. Student initiative and directive are welcome. Technique building songs/music are paired with songs that students desire to learn. Sean teaches “by ear” in conjunction with some basic theory to develop an understanding of the patterns in music. Sean can be seen and heard live at local venues in the Kootenays in several musical configurations including the band Red Eyed Soul. Sean teaches lessons in Langham Cultural Centre. Please phone 250-366-0077 or email sean.acoustic@gmail.com to book a lesson. Throughout his professional career David Stewart has freelanced as an actor/singer, oratorio soloist, recitalist, and professional chorister. David also plays violin, classical guitar, and cello. In the 70s and 80s he was a classroom music teacher nurturing ukulele ensembles and getting the kids to sing. David Stewart maintains a studio in Kaslo at the Langham Cultural Centre where he teaches violin, voice, classical guitar, and cello. He is on the board of several community arts organizations and is President of the B.C. Choral Federation. Please phone 250-354-5368 or email sjdks@kaslo.org to book a lesson.